To put items into your shopping cart, enter the quantity and press the "Place in Cart" button. Click "View Contents" in the top right corner of any page to review or change the contents of your shopping cart. Grinder and Bandsaw Coolant is added to water reservoir adds life to your diamond grinding heads and your diamond bandsaw blades. Also reduces heat that causes fractures while grinding or cutting. Coolant mixes 30:1 with water to produce two gallons from 8 oz jar. Odorless, synthetic rinse-off lubricant is specially formulated for self oiling cutters and for easy clean-up, 4 oz. 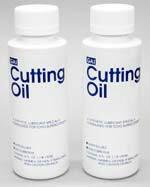 Standard oil based cutting oil is highly refined for error-free cutting, 8 oz. AmeriGlas recommends the standard cutting oil - it is less expensive and appears to provide better lubrication to the cutter tip. 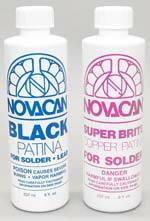 Novacan 'Super Black' patina produces a deep black aged look on both lead or solder. Novacan 'Brite Copper' patina imparts a rich hue to solder joints. Polish finishing compound contains carnauba wax. Give your stained glass projects a deep luster while protecting your project. 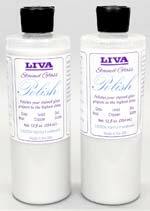 Liva brand polish can also be used on plain solder joints to retain a shiny finish since it keeps the plain solder from oxidizing. It also adds a nice rich luster to the patina finish used on most soldered foil projects. 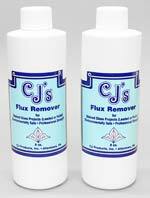 Flux remover easily cleans stained glass projects or work area of flux residue. Water soluble and non-toxic. 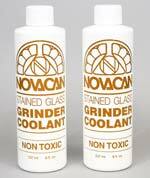 This non-abrasive powdered cleaning agent removes excess flux, oil, cement and other residue from stained glass projects.  Cement mixture strengthens and weather proofs projects made with leadf ame. This new style of cement has the powder separate from the liquid and can be mixed as needed. Mix only as much as you need and store the rest for another project. Black Cement is normally used for projects using lead came. Natural cement is light brown/gray in color and is generally used on zinc or brass came. 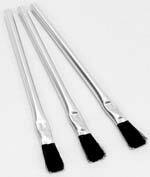 Small brush is ideal for applying flux, patina, etching cream, and other chemicals. Brush is 6" in length with brush width of 3/8".